At 10:30pm on Tuesday 6th February, 51 students and 6 teachers set off for a 9-day history trip to three countries and four cities. After an 18-hour coach journey, we arrived at Nuremberg, Germany. Following a good night’s sleep, we had a tour of Luitpoldhain Mass Rally parade ground which gave us a really powerful sense of the influence the Nazis had over the Germans. To see the scale and understand the history of the location of the annual mass rallies left us all with a real sense of perspective of what the Nazis did. 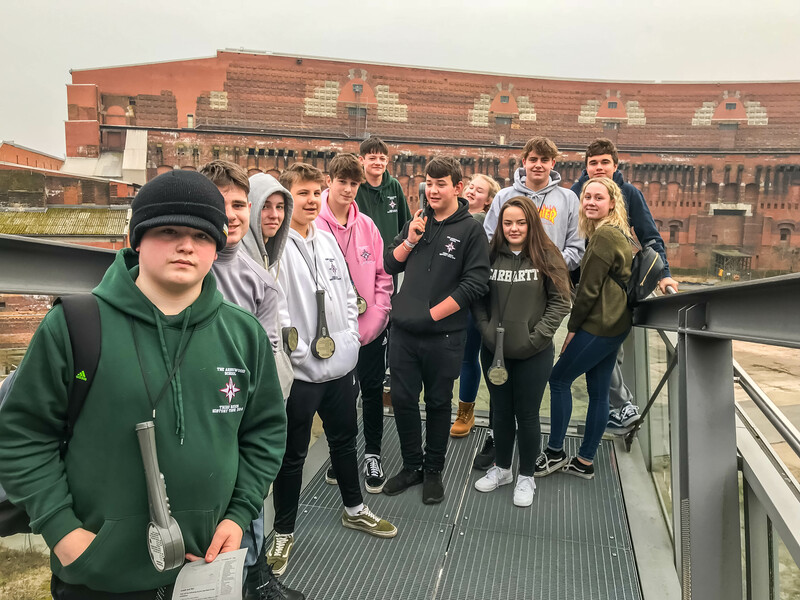 After a little free time in the afternoon, we returned to the parade ground to walk around the Third Reich Documentation Centre where we learnt about the history of the Nazis and their wide-reaching dominance. The next morning, we set off for Prague in the Czech Republic. We had lunch when we reached Terezin before touring a museum and concentration camp there. This concentration camp showed us all what life was like for many Jewish prisoners in the Terezin ghettos of the 1930s. Day 4 was a day which changed us all. We visited Lidice, a village completely destroyed in 1943 in reprisal for the assassination by Czech nationalists of Reinhardt Heydrich, head of the Gestapo. We walked around the Lidice museum learning about the town, the people and the massacre before stepping outside to truly see what was left of the town. There was very little remaining as all 173 men were executed and 184 women and 88 children were deported to concentration camps. In memory of this massacre, we laid a small teddy bear to remember the 88 children of Lidice who were taken from their parents and their homes. After the Nazis had killed the men and sent the women and children away, they blew up the village to try and remove it from existence. Today all that remains are the foundations of the school and church. After some free time in Prague city centre, we took some photos at Charles Bridge before heading to TGI Fridays for dinner. On returning to the hotel we had a workshop where we reflected on the day which was full of both education and emotion. That day’s experience taught us so much about the human race – both it’s negative and it’s positive power and influence. 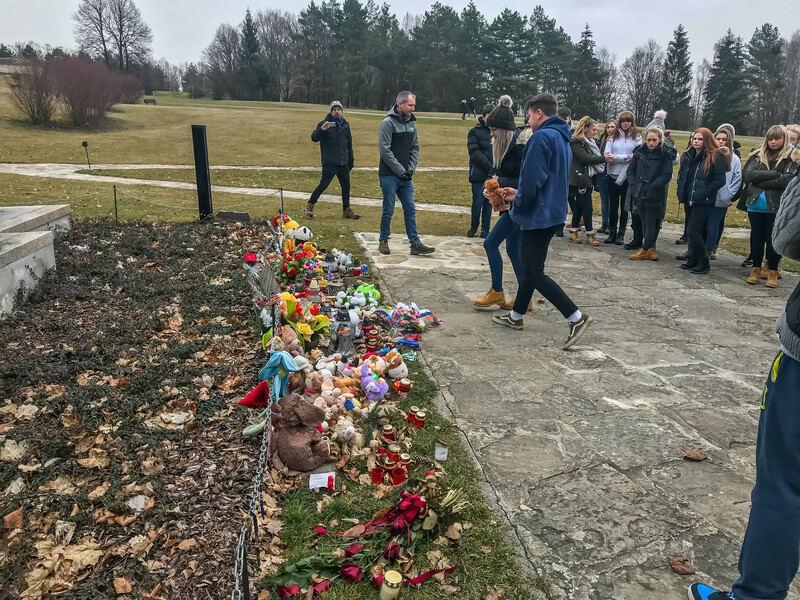 The following day we travelled to our third city of Krakow, Poland, where we visited Auschwitz I for a private tour around the concentration camp to see first-hand the horrors of the Holocaust. We walked around the silent, cold extermination camps seeing something we had only ever heard about in classrooms. We then went to Auschwitz Birkenau or Auschwitz II to see where approximately one million men, women and children lost their lives. This day we were open to the elements as the snow began to fall. We experienced a day which will stay with us forever as it gave us a small insight into the persecution and dreadful waste of life suffered by so many people. We ended the day with some free time in Krakow and a dinner serenaded by a live band. We then packed our bags in preparation for the next day when we would travel to our final city, Berlin. We visited many historical places which allowed us to visualise the locations we had heard about in our history lessons. We visited three memorials; the Sinti Roma Memorial, the Homosexual Memorial and the Jewish Memorial all of which were erected after the war. These are within walking distance from the Reichstag (German parliament) to show how Germany remembers the war and its many citizens who were lost. After lunch, we boarded the coach for our final journey back to New Milton. On reflection, this valuable trip has taught us all more about ourselves and others and how power and influence can be used for good or evil. Hopefully, this experience has not only helped us with our History GCSE but has also made us all better individuals for the future. Take a look at more Third Reich photos.